Fast, Compact, Swift... that's the Choco melanger. Perfect for small batches of up to 2 kgs, and perfect for small labs, trials and recipe testing, and small home artisan. Backed by rich industry experience, we are engaged in manufacturing a premium quality range of Chocolate Making Machine. Price Range 30000- 100000 Rs. 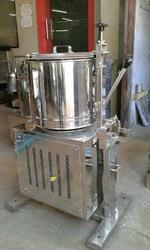 Our company holds vast experience in this domain and is involved in offering Automatic Chocolate Making Machine. The warmer is equipped with jacketed containers to ensure uniform heating. 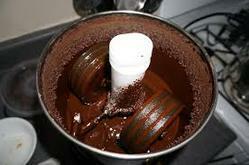 The product is used for heating chocolate fudge and butterscotch toppings. This product can also be used in restaurants and other food related sectors.